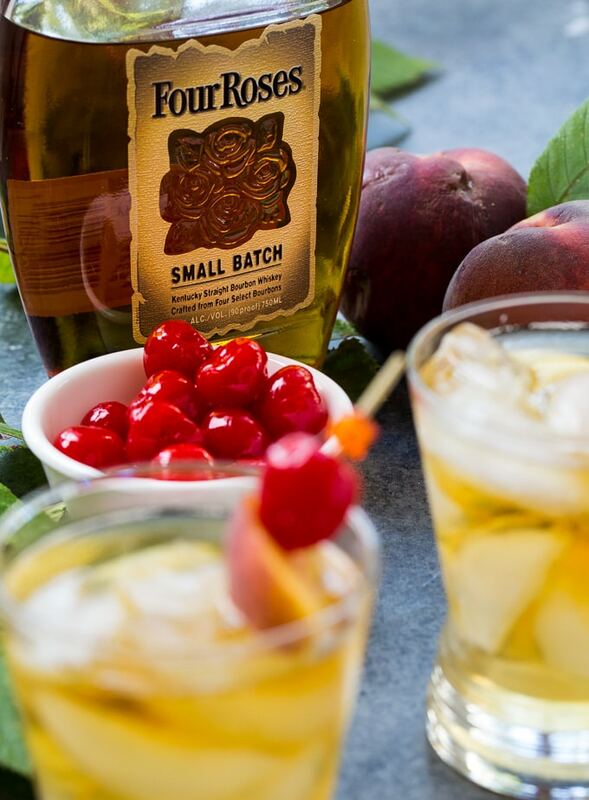 Adding peaches to an Old Fashioned gives it a warm weather, summery spin. 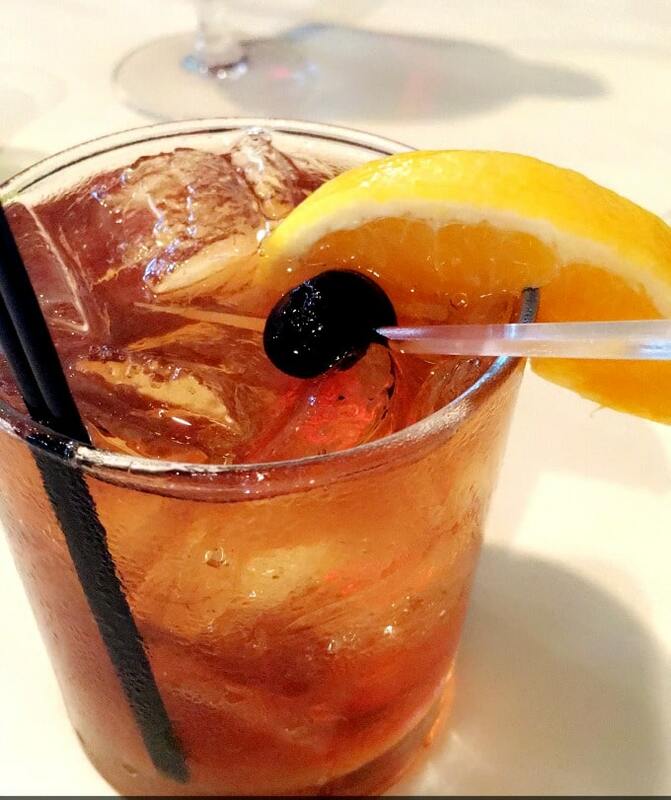 I was inspired to make a Peach Old-Fashioned after drinking one at Lilly’s Bistro during my trip to Louisville, Kentucky. Since Louisville is all about the bourbon, it’s hard to pass up an Old Fashioned. It was so good and very strong, like any good Old Fashioned should be. It’s all about the flavor of the bourbon and bitters with just a little peach accent. 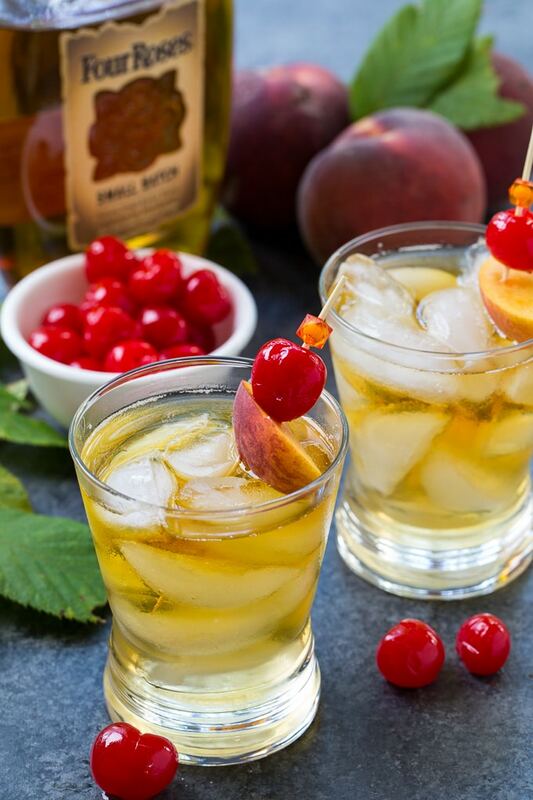 The Peach Old Fashioned from Lilly’s Bistro. 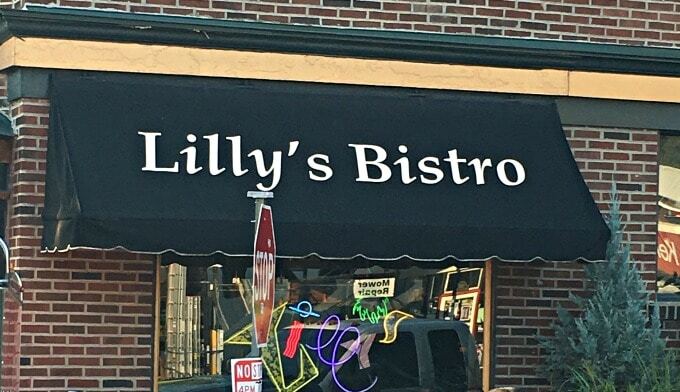 If you’re heading to Louisville, be sure to give Lilly’s Bistro a try. It was Louisville’s first farm to table restaurant and Executive Chef and Owner Kathy Cary has been nominated for numerous James Beard Awards. Plus, it’s located in Highlands, a really cool walkable neighborhood in Louisville with lots of interesting bars and shops. 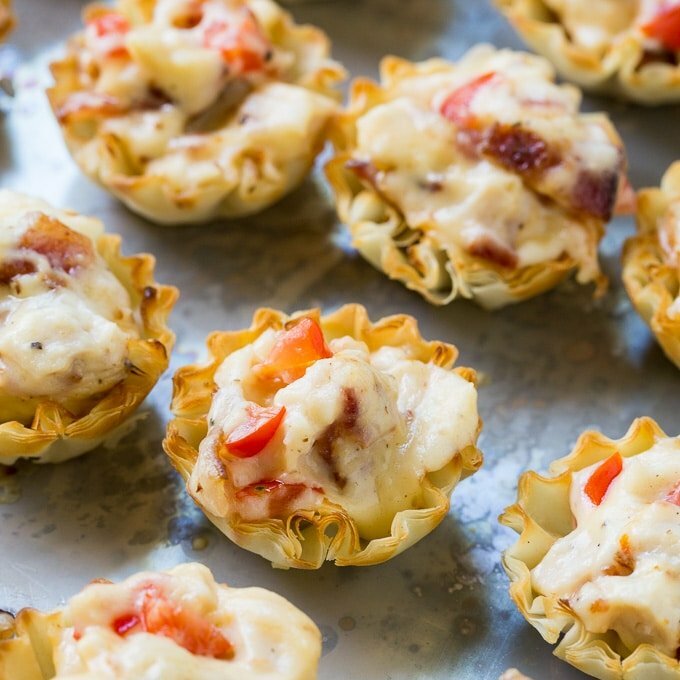 Read my Guide to Eating in Louisville Here. Since an Old Fashioned is a simple cocktail it’s important to use quality bourbon. I used Four Roses Small Batch, but Buffalo Trace, Maker’s Mark, and Woodford Reserve are good choices too. 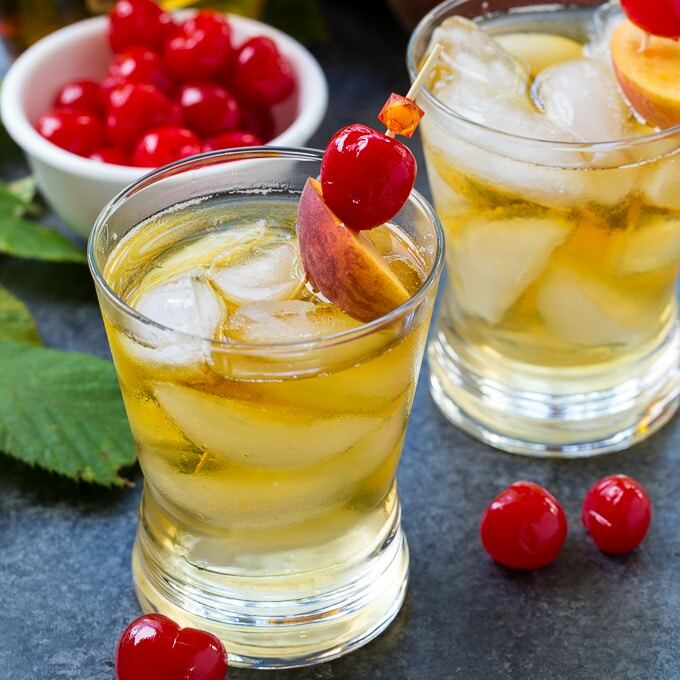 This Old Fashioned has just a hint of peach flavor for a summery touch. Bring sugar, water, and peaches to a boil in a small saucepan. Simmer for 15 minutes. Use a fork to press down on the peaches and extract their flavor. Let cool completely. Pour mixture through a fin-meshed sieve into a bowl or liquid measuring cup. Press down on peaches with a spoon to get as much liquid out as possible. Discard solids. 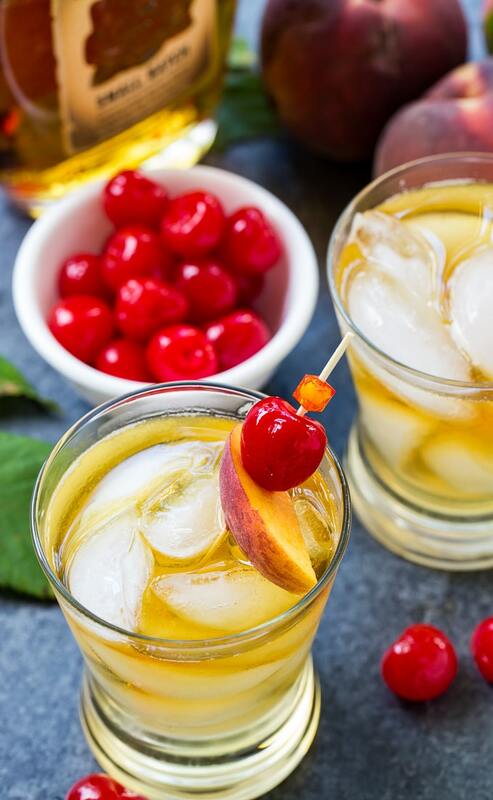 Combine the bourbon, 1/2 to 1 ounce of peach simple syrup, and the bitters in an old fashioned glass with ice and serve. This entry was posted in Cocktails and tagged bourbon, Louisville, peaches. Bookmark the permalink. Your peach juice is delicious and delicious. A wonderful water for hot summers.